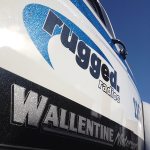 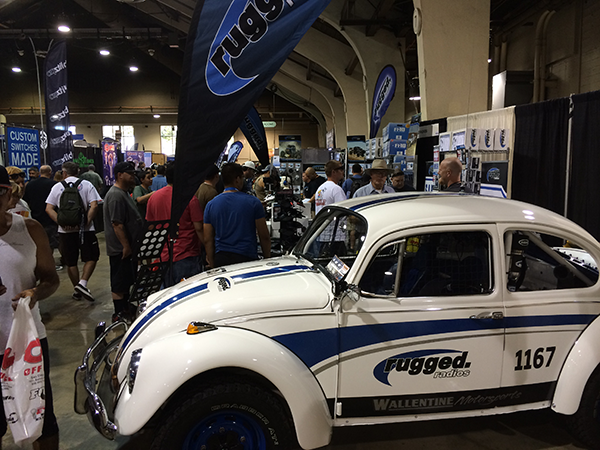 Rugged Radios CEO Greg Cottrell was looking for an eye-catching car he could showcase as part of the Rugged Radios booth at Offroad Expo. 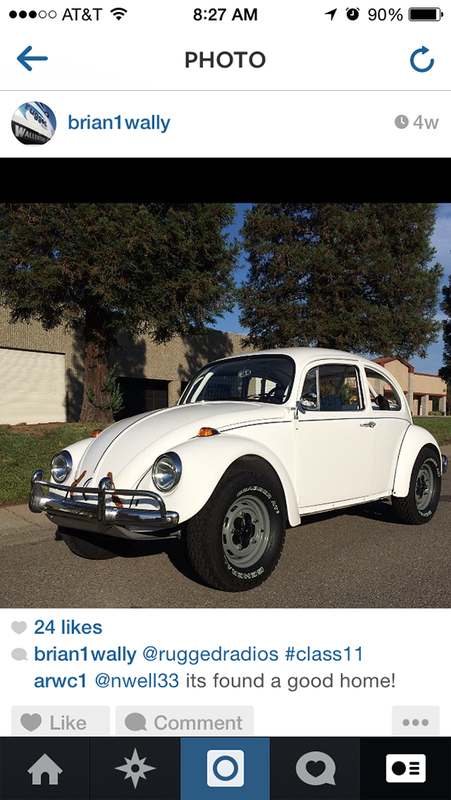 We opted for an old-school Class 11 purchased in Rocklin. 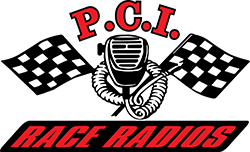 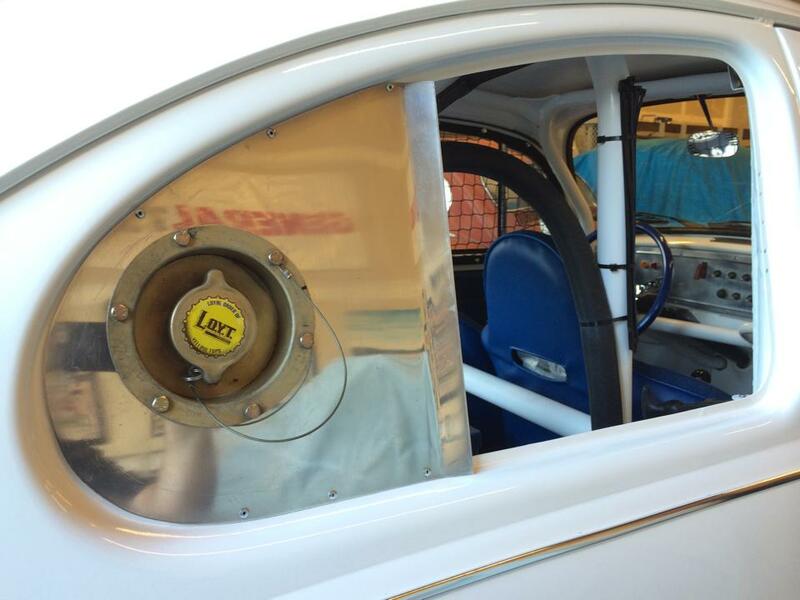 The car had raced in the ’80s and ’90s but had been sitting unused for nearly 18 years. 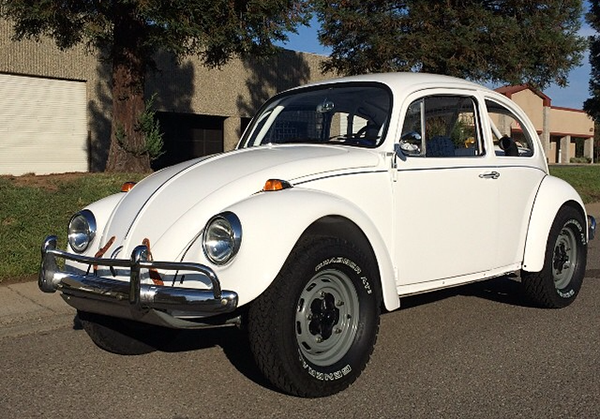 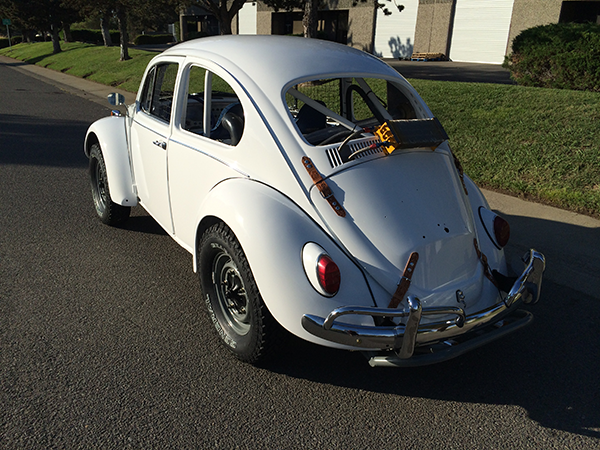 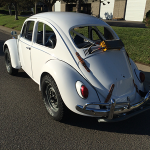 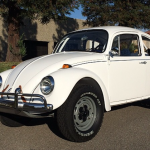 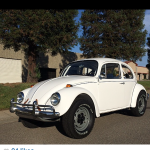 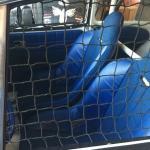 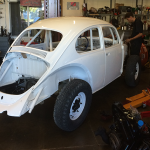 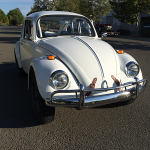 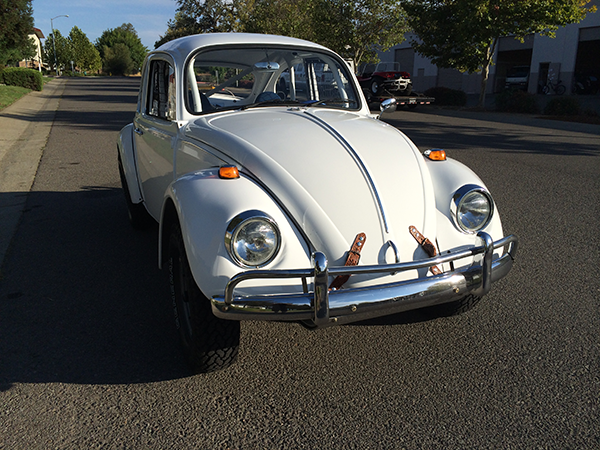 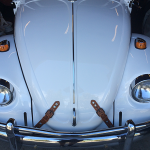 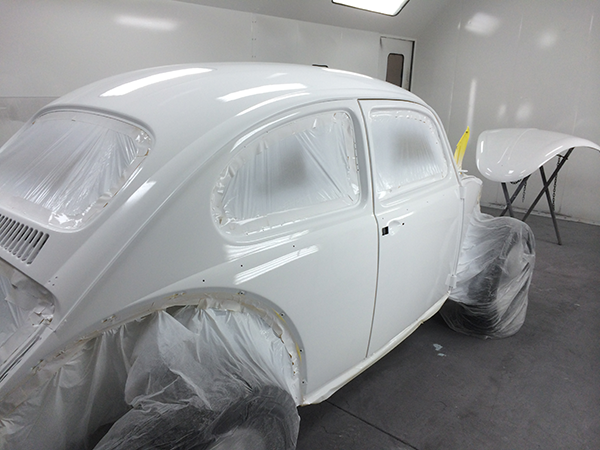 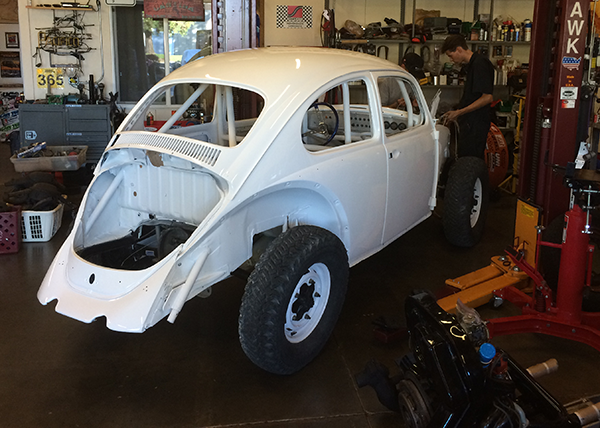 We started with a 1967 Beetle that we procured HOW OR FROM WHERE? 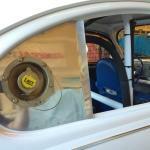 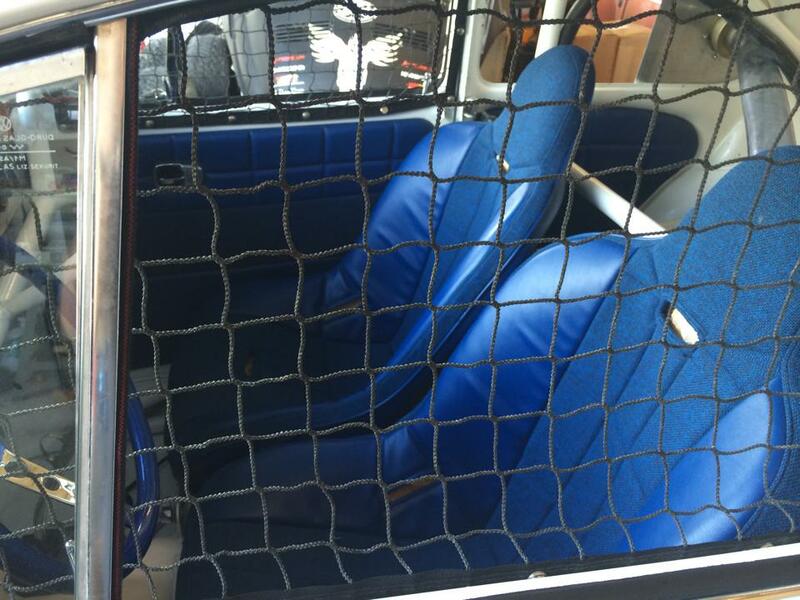 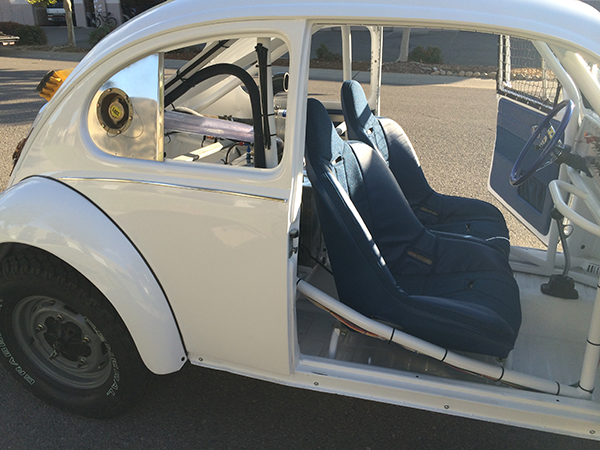 We massaged the body, which came with a roll cage pre-installed. 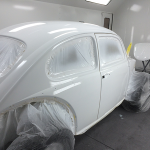 From there it went to Rich Custom Paints of Sacramento for paint. 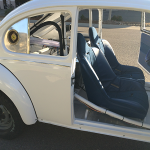 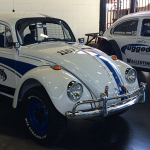 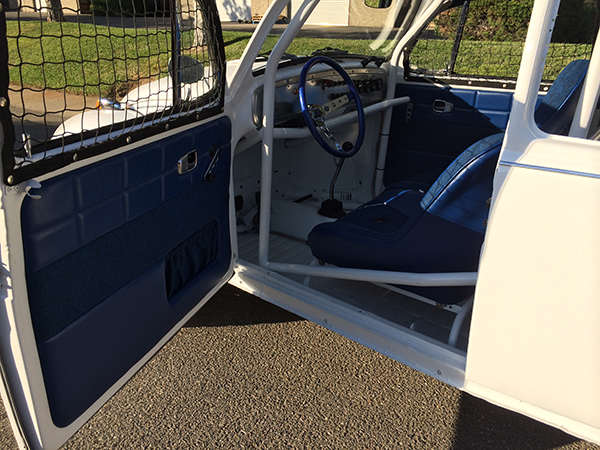 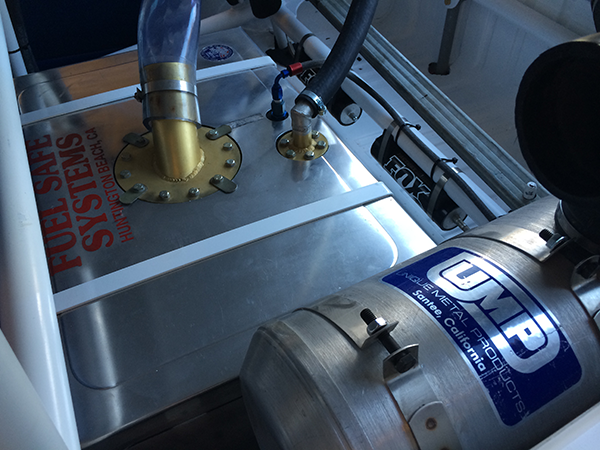 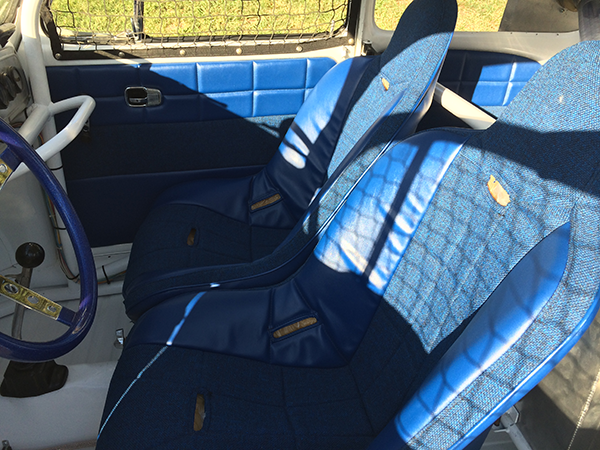 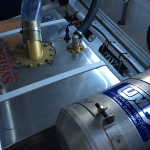 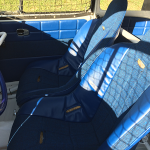 Naturally the car had to showcase Rugged’s trademark blue and white color scheme, so we we worked with Bob’s Custom Upholstery to recover the seats that came with the car and and match the Rugged color for the custom door panels. 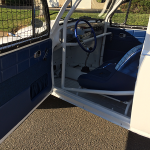 We also added a blue steering wheel from Mooneyes. 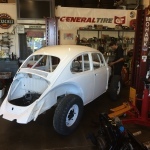 The five lug wheels were shipped off to Powder Coat-It for custom coating and of course we went with General Tires all around. 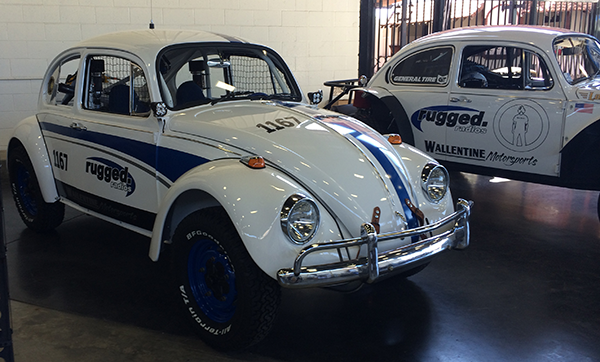 The original shocks were shipped off to Fox for a complete rebuild. 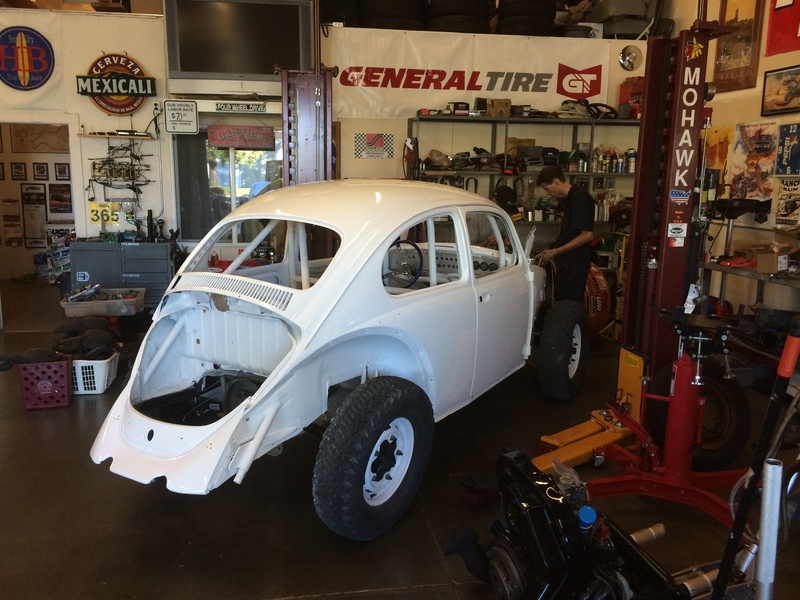 The previous owner had just done a rebuild, but we did ship the transmission off to the JG Transwerks for a refresh. 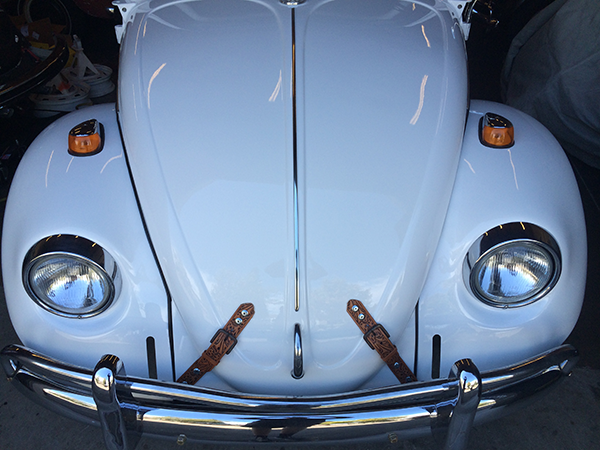 It couldn’t leave the shop without our signature leather hood straps (which we also added to the engine deck lid. From there we took it to Greg, who shipped it to his guy for logos and decals. 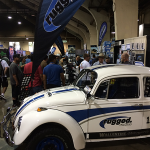 The end result was a huge hit at Offroad Expo and the Sand Sports Show.